We would like to thank the following individuals for their input and guidance. We have asked them to review our site to help insure that we meet your needs as a cancer patient. As a cancer survivor herself, Gwen Darien brings a wealth of personal and professional experience to her position as executive director of the Samuel Waxman Cancer Research Foundation. Darien is committed to fostering enduring partnerships and collaborations across all segments of the cancer community to fulfill the Samuel Waxman Foundation's goal of finding effective cures and preventing cancer by creating a collaborative team of world-class scientists, the Institute Without Walls, to translate cancer research discoveries from the bench to the clinic. Prior to joining SWCRF, Darien was editor-in-chief of CR magazine and director of the American Association for Cancer Research Survivor and Patient Advocacy Program, where she oversaw initiatives, including the organization's renowned Scientist?Survivor programs. AACR established the department of Survivor and Patient Advocacy in November 2004 with Darien as its founding director. Darien led the expansion of the Scientist?Survivor program to three AACR conferences; the creation of a Survivor and Patient Advocate portal on aacr.org; an expanded presence and integration of advocates in AACR's activities; and the development and launch of CR magazine and its website in spring 2006. Under Darien's direction, CR magazine has published features on such timely issues as race and cancer research, how stress affects cancer, the screening debates, nanotechnology and profiles of survivors and scientists written by award-winning medical journalists, as well as insightful personal essays by survivors and advocates. 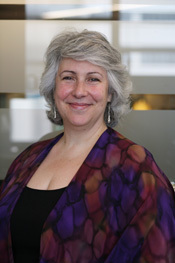 Darien was previously the editor-in-chief of MAMM, the country's only consumer magazine dedicated to women with breast and reproductive cancer. Darien is Chair of the NCI Director's Consumer Liaison Group and is a member of the Secretary's Advisory Committee on Genetics, Health and Society. She serves on the program committee of the Accelerating Anti-Cancer Agent Development and Validation Workshop. Darien is on the advisory board of the Health Advocacy Program at Sarah Lawrence College and an external advisor to the Breast Cancer SPORE at the Duke Comprehensive Cancer Center. She has more than 20 years of experience in leadership positions. Darien is a graduate of Sarah Lawrence College. Prior to her diagnosis of non-Hodgkin's lymphoma in 1993, Darien was the executive director of Los Angeles Contemporary Exhibitions. Darien was also deputy director of P.S. 1 Contemporary Art Center in New York City from 1984 to 1990. Día de la Mujer Latina, Inc.
On a routine flight to Los Angeles, Flight Attendant Venus Ginés slipped and fell on the airplane prompting an immediate need for medical attention. At the ER, the doctor casually asked if she had her mammogram yet. Upon hearing a ‘No, I’m Latina, we Latinas don’t get breast cancer” he explained that cancer did not discriminate and offered to do a clinical breast exam. To her shock, he found a lump. After being diagnosed with breast cancer in 1992, Venus decided to focus her graduate research on cancer in Latinas. She discovered both a paucity of statistical data as well as limited ethnic-specific cancer health education material. In 1996, Venus developed a culturally specific video/picture book on breast cancer ( Una Nueva Esperanza) and later (Hombre Sin Limite) on prostate cancer for American Cancer Society (ACS). A health fiesta was the only way to determine if the picture books adequately addressed some of the fears and barriers of this population-at-risk. Dia de la Mujer Latina became a reality when Venus together with ACS & the Mexican Consulate's office, assessed, planned, coordinated, collaborated and implemented the first non-traditional culturally relevant Latino family health fiesta. This process involved a community-wide collaboration of Latino clubs, private and non-profit organizations, state and county health departments, community merchants, media, volunteers and other healthcare providers to provide early detection and screening for breast/cervical/prostate cancer, HIV, Diabetes, and cardiovascular diseases. Since May 10, 1997, more than 27,000 Latinas have registered at our 1-day health fiesta w/over 3020 receiving medical care. Venus also teaches cultural competence to medical and nursing students. This ethnic specific project is currently recognized as a national “best practice” and being replicated in 22 cities, 7 counties in Georgia, as well as Puerto Rico. Día de la Mujer Latina, Inc. is a non-profit (501©3) organization in the state of Ga.
Ms. Ginés earned a B.A. from California State University and a M.A. from Georgia State University (WMSI), focusing on the cultural and system barriers faced by Latinas with breast cancer. Venus presented at a Congressional Panel for the recognition of the term “Latino” as a proper category term for the new population from Latin America. Now, all federal programs must include both terms. 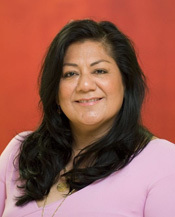 Nationally, she serves on the Steering Committee for the NCI-funded Redes en Accion, the nationally recognized Intercultural Cancer Council (ICC) and charter member of the Susan G. Komen NationalHispanic/Latina Advisory Council and NCI’s Director’s Consumer Liaison Group. Venus represented the state of Georgia at the President’s Cancer Panel and served on the Board of Trustees of the Georgia Cancer Coalition. Venus received the Compañeros Award at the Latino Summit in ATL; the Vision of Hope Award in the Breast Cancer Conference in San Antonio, as well as the National Latina Activist Award in Chicago. Venus was appointed to the Blue Ribbon Panel of National Cancer Health Disparities Progress Review Group in Washington, DC and Chaired the Trans HHS Cultural Competence in Education & Training Roundtable. Georgia’s Governor Perdue appointed Venus to the Latino Commission and currently serves in the State’s Cancer Plan and the Health Strategies Council. She’s a Leadership Atlanta, Class of 2004 alumni, a Research Associate at Kennesaw State University & Adjunct Instructor at Morehouse School of Medicine. Venus served on the Board of Visitors for Grady Hospital, WellStar Health System and Emory Healthcare and a board member of the YMCA Meto Atlanta. 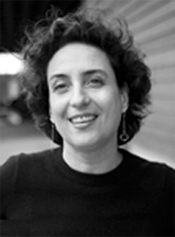 She founded the Intercultural Center for Health & Wellness in 2004, (1 st Latino Health Resource Center in Atlanta) and concluded the Community Voices Video on women from 12 Latin American countries speaking on disparities. 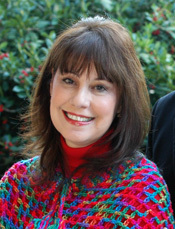 Venus is currently Faculty at Baylor College of Medicine; Chronic Disease and Prevention Center. 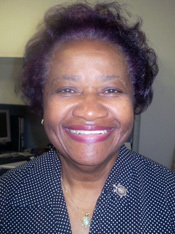 Bettye L. Green lives in South Bend, Indiana where she has been a registered nurse for the past thirty- three years at Saint Joseph Regional Medical Center. Mrs. Green is also currently serving as the Community Outreach Coordinator and Hospital IRB Coordinator. For the past eight years Bettye has held the position of Institutional Review Board Chairperson of the Northern Indiana Cancer Research Consortium. She is a seventeen-year breast cancer survivor, who entered the battle against breast cancer in 1990. Mrs. Green has done work in the area of protocol review, which has included grant review for the Department of Defense, AVON, NCI, California Breast Board and for the Komen Foundation. Mrs. Green was appointed to three committees in the President’s National Action Plan Against Breast Cancer. 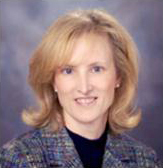 Currently she is the patient advocate chairperson of the American College of Surgical Oncology Group. Bettye also serves on the patient Advisory Board for Eli Lilly and has served for twelve years as the chairperson of the African American Women-in-Touch organization. . Bettye is on the Board of Directors for the National Breast Cancer Coalition. Bettye has continuously fought to eradicate breast cancer and to keep Black Women at the table. She is an educator, trainer, committee member for many groups and sought after meeting speaker. Michael Katz is a survivor of myeloma and rectal cancer. He is Vice President of the International Myeloma Foundation and co-chair of the Patient Representative Committee of the Eastern Cooperative Oncology Group. He is past chair of the National Cancer Institute's Directors Consumer Liaison group and also past chair of the Association of Cancer Online Resources. In the spring of 2004, I quit my job as an attorney and began working at Fred Hutchinson Cancer Research Center (FHCRC) as a patient advocate for Dr. Nicole Urban’s breast and ovarian cancer research studies. This was not unexpected considering my personal journey with cancer began at age 12, when I was diagnosed with a rare form of ovarian cancer. Throughout the years, other family members, including my aunt, grandmother, and father, were also diagnosed with cancer. It was my father’s esophageal cancer diagnosis that was the “tipping point” for me to enter into the cancer advocacy arena. My job at FHCRC focuses on breast and ovarian cancer advocacy. (primarily ovary) My role is to provide a bridge between research and the community. This entails providing educational workshops for advocates and the community, participating in research meetings in order to bring the patient’s voice into research proposals and protocol design, and reviewing recruitment materials, informed consent forms, and patient letters to ensure they are sensitive to the patient’s needs. . In addition, because I have the breast cancer gene, I am heavily involved in the high risk community. I am regional outreach coordinator for FORCE, a national non-profit organization providing support to women at high risk for breast and ovarian cancer. I also volunteer on the first international help line for women at high risk for breast and ovarian cancer through a partnership with FORCE and the University of Pennsylvania. I am also the co-founder and co-facilitator for the Pacific Northwest’s first and only support group for women at high risk for breast and ovarian cancer. This group meets monthly and provides educational and emotional support for women making decisions about their healthcare based upon their genetic status or family history. Finally, I am just beginning to delve into the arena of esophageal cancer advocacy. I am in the process of contacting the major cancer centers in Seattle with the hope of providing a bi-monthly update of clinical trials occurring with esophageal cancer. It is my hope that my children will not have to suffer the incredible journey all cancer patients embark upon, and I am dedicating myself to this task. 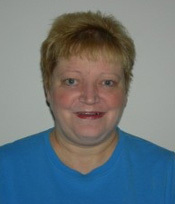 Phyllis’ dedication is to cancer research, education and screening. Her “heartfelt concern and genuine commitment” to her Indian sisters and brothers focuses on culturally sensitive outreach and continues to help them understand the importance of early detection and why cancer screening and participation in research is so important. Phyllis presently serves on the American Indian Alaska Native National Advisory Committee, Susan G. Komen for the Cure, the Advisory Board College/Graduate Horizons, is an Advocate for the American Association for Cancer Research Scientist-Survivor Program and is a member of the Patient Advocacy Committee for the American College of Surgeons Oncology Group (ACOSOG). Phyllis is the recipient of Utah's American Indian Outstanding Manager Award, the College of Social Work’s Pete Suazo Social Justice Award and the James Garland Woolsey Memorial Award for Professional Promise in the Field of Health and Rehabilitation. Phyllis has taken part in the National Leadership Summit on Eliminating Racial and Ethnic Disparities in Health; Patient Navigator Supervisor Training and A Gathering of Cancer Support Group Training. HCI’s Special Populations Program recently received recognition from the Department of Health and Human Services for its work in educating Native American communities about cancer prevention and detection. I was diagnosed with Renal Cell Carcinoma in October of 1994 and had a left radical nephrectomy at DUMC. My activities at the Patient Resource Center involved assisting newly-diagnosed patients obtain information regarding their particular diagnosis, and supporting other requests as needed regarding information on national, DUMC, and community resources. The Kidney Cancer Association acts as an advocate on behalf of patients with the Federal government, insurance companies, and employers. The KCA has provided information to Congress and other institutions about patient needs and health care policies. My participation has included the planning of local patient meetings and seminars and attending national meetings. I accepted an invitation to join the NCI Kidney/Bladder Progress Review Group (PRG) as a patient advocate. I attended the Roundtable Meeting in November of 2001, and along with other roundtable members -- clinicians, researchers, and industry representatives -- worked together to craft a national research agenda for kidney/bladder cancers. Member of the Protocol Review Committee - ACOSOG, 2002 – Present. I’m a member of the Protocol Review Committee of the American College of Surgeons Oncology Group, and review proposed protocols submitted to ACOSOG in monthly Protocol Review Teleconferences. 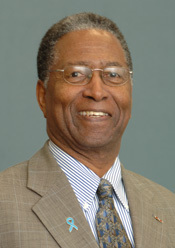 Colonel (Ret) James E. Williams, Jr. USA a prostate cancer survivor diagnosed in 1991 has been active as an advocate for 17 years. He is a retired US Army Regular Army Colonel and a Senior Professional in Human Resources (SPHR). After retiring from the Army, COL Williams worked as a human resources director for 15 years. He is the principal of Jim Williams and Associates, a management consulting firm specializing in prostate cancer awareness, education and advocacy. COL Williams is Chair, Board of Directors, Pennsylvania Prostate Cancer Coalition; Chair-Elect, Intercultural Cancer Council (ICC); a member of the Director’s Consumer Liaison Group and the Clinical Trials Advisory Committee at NCI and the Governor’s (PA) Cancer Control, Prevention and Research Advisory Board. 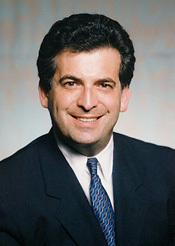 He is also Vice President of the ICC Caucus; a member, Board of Directors, Dauphin County (PA) State Health Improvement Plan, the Alliance for Prostate Cancer Prevention (APCaP) and the Pennsylvania Cancer Control Consortium; and member of the Patient Advocacy Committee, the American College of Surgeons Oncology Group and the Partnership for Quality Healthcare. He is also a member of the Editorial Board of CR Magazine. COL Williams holds B.S. and M.S. degrees in Secondary Education and Administration. Al B. Benson III, M.D is a Professor of Medicine in the Division of Hematology/Oncology at Northwestern University’s Feinberg School of Medicine in Chicago, Illinois. He is also the Associate Director for Clinical Investigations and Chair of the Clinical Protocol Scientific Review and Monitoring System for the Robert H. Lurie Comprehensive Cancer Center, a National Cancer Institute-designated Comprehensive Cancer Center, at Northwestern University. In addition, he is an Attending Physician at Northwestern Memorial Hospital, a Staff Physician at VA Chicago Health Care System, and a Consultant to the Rehabilitation Institute of Chicago. Dr. Benson earned his medical degree at the State University of New York at Buffalo following which he completed an Internal Medicine Residency at the University of Wisconsin Hospitals in Madison, Wisconsin. He was an Assistant Professor of Medicine at the University of Illinois and Co-Medical Director for the National Public Health Service in Champaign, Illinois. He then served as a Clinical Oncology Fellow at the University of Wisconsin Clinical Cancer Center, where he received an American Cancer Society Fellowship Award. Dr. Benson is active on numerous professional committees, often serving as an officer. He has served on a number of committees for the American Society of Clinical Oncology (ASCO) and is currently a member of the Task Force on Quality of Cancer Care, the Co-Chair of ASCO’s Colorectal Cancer Guidelines Subcommittee, the Stage II Colon Cancer Guidelines Panel and the Guidelines Panel for use of Radiofrequency Ablation for Colorectal Cancer Hepatic Metastases. He also is the Chair of the Eastern Cooperative Oncology Group Gastrointestinal and Data Monitoring Committees. 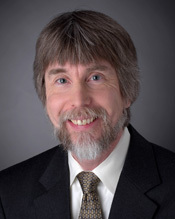 In addition, he is a member of several medical societies, and is a Past President of the Illinois Medical Oncology Society, a Trustee and Treasurer for the Association of Community Cancer Centers (ACCC), and a member of the Board of Directors of the National Comprehensive Cancer Network (NCCN) now serving as chair. He is the current President of the International Society of GI Oncology (ISGIO). Dr. Benson’s research is primarily in the areas of gastrointestinal cancer clinical trials, cancer clinical trials, biologic therapies, phase I cancer clinical trials and cancer guideline development. He has authored or coauthored numerous reports, reviews and book chapters focusing on these topics. His research in biologics, cancer therapy, and cancer prevention has been awarded funding from a variety of sources including the NIH. I am an assistant biology professor at Chapman University. I have recently been teaching the senior capstone molecular genetics research class. The students in that class have worked on research projects directly related to my research interests. My research focuses on the tumor promoting role of the growth factor, Transforming Growth Factor-Beta (TGF-Beta, on pancreatic cancer, which is still the 4th leading cause of cancer related deaths in the USA. Previous research has shown that human pancreatic cancer cells over-express both TGF-beta and Vascular Endothelial Growth Factor (VEGF). The over-expression of both of these proteins is correlated with decreased patient survival. A main reason that pancreatic cancer is so aggressive is because the tumors are vascularized. The growth and spread of cancer cells is dependent on angiogenesis. VEGF is known to be the most potent angiogenic factor in promoting angiogenesis in pancreatic cancer. My laboratory has recently shown that TGF-beta increases VEGF expression in pancreatic cancer cells. At this point, the molecular mechanism responsible for the induction of VEGF in pancreatic cancer is not known. The purpose of this research project is to investigate the molecular mechanism promoting angiogenesis in pancreatic cancer by studying the up-regulation of VEGF gene transcription by TGF-beta. Kelly Hunt is Professor of Surgery and Chief of the Surgical Breast Section, Department of Surgical Oncology, at The University of Texas M. D. Anderson Cancer Center in Houston, Texas. 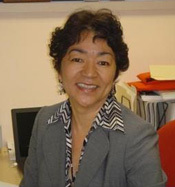 She is the Chair of the Breast Organ Site Committee and a member of the Executive Committee of the American College of Surgeons Oncology Group (ACOSOG); a member of the Correlative Science Committee of the Breast Cancer Intergroup of North America; and a member of the Scientific Program Committee of the Society of Surgical Oncology. Dr. Hunt received her medical degree with highest honors from The University of Tennessee Center for the Health Sciences, Memphis, Tennessee, in 1986. She fulfilled her postgraduate training at the University of California Los Angeles School of Medicine; and also served as a registrar in General and Vascular Surgery, University Hospital, Queen’s Medical Centre, in Nottingham, England. She then completed a surgical oncology fellowship at M. D. Anderson Cancer Center and remained on faculty following her training. Within the Department of Surgical Oncology, Dr. Hunt serves as the Director of the Surgical Breast Research Program. She is the Associate Medical Director of the Nellie B. Connally Breast Center, and Director of the Breast Lymphatic Mapping Working Group at The University of Texas M. D. Anderson Cancer Center. Dr. Hunt has published over 270 peer-reviewed articles in journals such as Proceedings of the National Academy of Sciences, Annals of Surgical Oncology, Cancer, Cancer Research, Journal of Clinical Oncology, and Science. In addition, she has published 22 invited articles and 33 book chapters, and edited three books on breast cancer and one book on gene therapy. Dr. Hunt received the 2006-2007 Teaching Award for Research and the 2007-2008 Teaching Award from the Department of Surgical Oncology at M.D. Anderson Cancer Center for her work with the Departmental Fellowship Programs. She is the Principal Investigator on 12 clinical research trials, and directs a staff of five faculty, postdoctoral fellows, research scientists and research technicians in her research laboratory. Her primary research interests are cell cycle dysregulation in cancer, gene therapy and tumor suppressor genes, and her clinical interests include breast conservation, sentinel lymph node biopsy, and skin-sparing mastectomy. Dr. Hylton is a Professor of Radiology and Director of the Breast MRI Research Program at University of California, San Francisco. She is an internationally recognized scientist whose research focuses on the development and clinical optimization of MRI for breast cancer detection, diagnosis and staging. Dr. Hylton has been a key participant in several significant national and international efforts to define the role of MRI in breast cancer management, including serving as co-leader of the dHHS Office on Women's Health International Working Group on Breast MRI, institutional PI for the first large multi-center clinical trial evaluating breast MRI for breast cancer diagnosis and staging (NCI International Breast MRI Consortium), and co-chair of the American College of Radiology (ACR) Breast MRI Lexicon Committee, which developed the ACR Breast Imaging Reporting and Data System (BIRADS) for breast MRI, first published in 2003. Dr. Hylton receives funding from the NIH to develop quantitative MRI techniques for assessing breast cancer response to neoadjuvant chemotherapy, and for the assessment of ductal carcinoma in situ (DCIS). She also serves as national PI for the AMerican College of Radiology Imaging Network (ACRIN) trial 6657, "Contrast-enhanced Breast MRI for Evaluation of Patients Undergoing Neoadjuvant Treatment for Locally-advanced Breast Cancer." She is a member of the ACRIN Breast Committee, CALGB Imaging Committee, ACR Accreditation Committee for Breast MRI, and serves on numerous grant review committees, including as chair of the NIH MEDI Study Section from 2004-2006. I have 25 years in the Oncology Nursing Society and 15 years in the specialty of clinical trials nursing. I have also served as newsletter Editor for the Clinical Trial Nurses Special Interest Group; Coordinator of the Clinical Trial Nurses Special Interest Group; Oncology Nursing Society to the Clinical Trials Summit and the Track Coordinator for the MSN Program in Clinical Research at Drexel University. I am a very strong advocate for patients and believe that patients have the right to receive the best possible care. Supporting patients both one on one and through advocating for people with cancer legislatively is extremely important to me. No one with cancer should ever feel alone in the maze of the health care system. 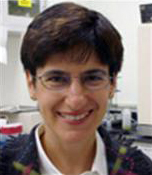 Thea Tlsty, PhD, is a Professor in the Department of Pathology, Director of the Program in Cell Cycling and Signaling in the UCSF Comprehensive Cancer Center and Director of the Center for Translational Research in the Molecular Genetics of Cancer at the University of California, San Francisco, School of Medicine, San Francisco, CA. She received a Ph.D. in Molecular Biology from Washington University. Dr. Tlsty trained with Dr. Robert Schimke at Stanford University as a Postdoctoral Fellow and Senior Research Associate in the Department of Biological Sciences before she was recruited to the University of North Carolina as Assistant Professor of Pathology and Member of the UNC Lineberger Comprehensive Cancer Center. In 1994 she joined the faculty at UCSF. Dr. Tlsty studies genetic, epigenetic and functional changes involved in the earliest steps of epithelial cancers and how interactions between stromal components and epithelial cells collaborate to moderate carcinogenesis. Her research studies of human epithelial cells from healthy individuals are providing novel insights into how early molecular events affect genomic integrity and fuel carcinogenesis. Prior work from her laboratory has shown that surrounding stroma can dramatically influence tumorigenesis. She investigates how these changes are initiated and moderated, as well as their consequences for clinical disease. These insights are applied in risk assessment, early detection, and prognostic studies. Areas of particular interest include human breast carcinogenesis and the role of tumor suppressor genes in regulating premalignant phenotypes. Her studies use molecular, biochemical and cellular analyses to evaluate primary human cells, develop recombinant models of cell-cell interactions and apply novel information to intact human tissue. We understand that each cancer patient is a unique individual with different informational and processing needs. Our goal is to try and present information in a way that can meet as many of those needs as possible. To achieve that end we have compiled several advisory boards to assist us.